The only thing worse than having an annoying sidekick following me everywhere and harassing me all the time, is having one that copies everything I do! I have certain expressions that I've mastered for optimal treat and petting reactions. I'm known for my trademark tongue sticking out look, called "Boop Steel." This is MY thing. And now Rosy has been sticking her tiny tongue out and claiming that it happens all the time naturally. Well, that is a bald-faced lie! I've seen her using her paws to pull out her tongue when she thinks no one is looking. They say imitation is the sincerest form of flattery but I say it's the most disingenuous form of sycophancy! LOL - boop steel! Perfect. 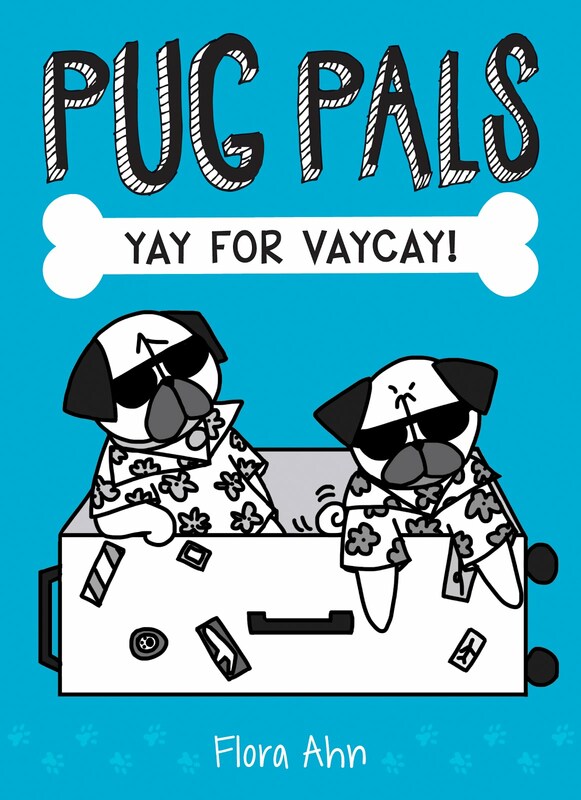 I love reading all the girls' Pugling Rivalry posts! They're all so cute, but I think this one has to be my favorite so far. It actually had me laughing - not just chuckling, but full on laughing out loud. The way you portray what the girls think of each other is so great. I saw in another post that you mentioned trying to get a book published. I think your books would be absolutely adored by the public so I hope you don't give up! 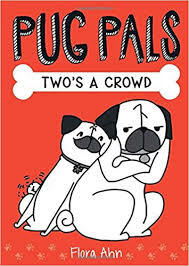 I think you should put together a book that's a collection of all your multi-drawing posts (like "Random Things I Love About My Pug" & "The Many Faces of Pugs"). 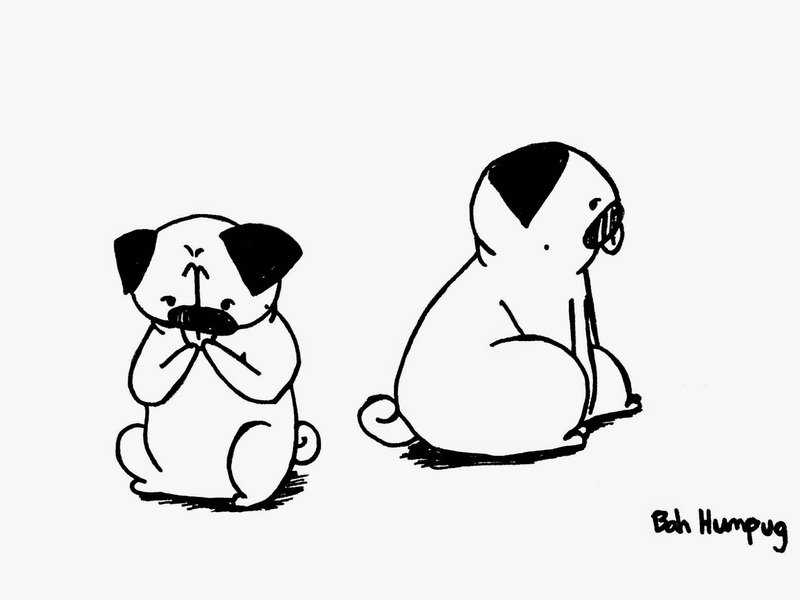 And I'd love to see a Pugling Rivalry book with all the girls' posts!